In a couple of weeks, Congress will return from the summer recess, the party conventions will be over, and the end of the 112th Congress will be looming. Now is the time for everyone who feels strongly about the access issue at the Cape Hatteras National Seashore Recreational Area to take action without delay. The window of opportunity for 2012 is closing fast. If you’ve not contacted your Senators or the Senate committee members previously, you still have time to make a difference. If you have contacted them in the past, you must reinforce your earlier comments with one last attempt to influence their position and actions. We ask you to contact your Senators and the members of the Energy and Natural Resources Committee as quickly as possible in hopes that a Committee markup of S. 2372 and ultimately a full Senate vote can occur shortly after the Senate reconvenes. Members of the Energy and Natural Resources Committee are listed at http://www.energy.senate.gov/public/index.cfm/members . Some Senators have public email addresses but most require the use of contact forms managed through their web sites. A directory of Senator email addresses does not exist, but online contact forms can be accessed using the following links. http://www.senate.gov/general/contact_information/senators_cfm.cfm is a directory of all U.S. Senators with links provided for contact forms for each Senator. http://www.energy.senate.gov/public/index.cfm/contact-form is a contact form for the Energy and Natural Resources Committee. Find phone number on the Senator’s website, or call the United States Capitol switchboard at (202) 224-3121 and a switchboard operator will connect you. The following letter has been sent on behalf of CHAPA to the Committee chairman and its members. It, plus articles found on www.islandfreepress.org , www.obpa.org, www.ncbba.org, may help you formulate your thoughts before you communicate with the Senators. However, timing is critical since the recess will soon be over and the time available for action during the remainder of the year is limited. We ask that you quickly take action. I write this letter to urge you and your Senate colleagues to take all steps necessary to move S. 2372, Preserving Public Access to Cape Hatteras Beaches Act, out of the Energy and Natural Resources committee to the full Senate, and to achieve its passage without delay before the end of the 112th Congress. Today, August 27, begins the last week of the summer vacation season across America. For the visitors and residents of the Outer Banks of North Carolina, it has been a summer of disappointment and frustration. New policies implemented this year by the Department of the Interior and the National Park Service within the Cape Hatteras National Seashore Recreational Area severely reduced beach access options in ways many thought would never happen. 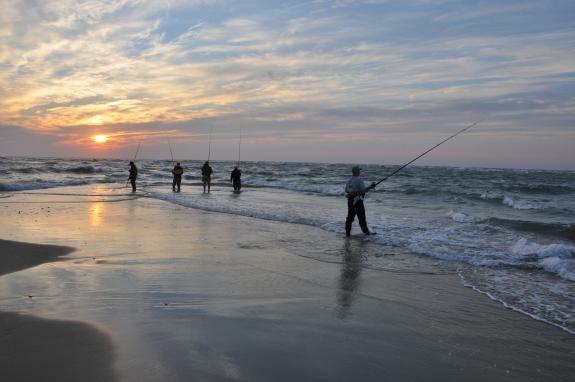 Access restrictions threaten to forever prevent users from activities traditionally enjoyed on Hatteras and Ocracoke Islands. Miles and miles of beach have been off limits for most or all of this summer’s tourist season including areas most popular with visitors since decades before the Seashore’s inception. Many of these miles are effectively closed to human use year round as a result of these new policies. As the full impact of the new policies are understood, visitors have reduced their stays, some vowing not to return in the future placing additional hardships on the local economy. You have the power to change this terrible situation through the passage of S. 2372. This bill will require a management plan that balances access and resource protection without impairment to either. It will establish requirements that will prevent similar problems in the future as the management plan evolves with the ever-changing seashore. And, it will accomplish this change at a lower implementation cost to taxpayers, improved visitor experiences, and no negative impact to the local economy. North Carolina Senators Kay Hagan and Richard Burr introduced this bill and it is cosponsored by Senator Joe Manchin, West Virginia. Testimony on this bipartisan bill was heard by the National Parks subcommittee of the Senate Energy and Natural Resources Committee on June 27, 2012. S. 2372 is a companion bill to H.R. 4094. H.R. 4094 was included as a component of H.R. 2578 which passed in the House and was sent to the Senate on June 19, 2012. The Senate now has the opportunity to correct the problems which exist with the current management plan before another year of disappointment, frustrations and hardships. "As previously reported, on July 26, 2012 D.C. District Court Judge Emmet G. Sullivan indicated his inclination to sua sponte (i.e., on his own will, without request by any party) transfer the D.C. Court litigation challenging the final CHNSRA ORV management plan to the U.S. District Court for the Eastern District of North Carolina. On August 6, 2012 as directed by Judge Sullivan, CHAPA filed an objection to such transfer. On August 10, 2012, the U.S. attorney filed the defendant's response to the CHAPA objection. On August 13, 2012, the attorneys for the intervenors filed the intervenors' response to the CHAPA objection. These documents may be viewed by clicking on the enclosed links. Judge Sullivan will consider these documents and issue a ruling in the near future. As you may be aware, Judge Sullivan held a conference with the plaintiff’s, defendants', and intervenors' lawyers in the CHAPA lawsuit today. At today's telephonic status conference, after being notified of tomorrow's scheduled hearing before Judge Boyle, D.C. District Court Judge Emmet G. Sullivan indicated his inclination to sua sponte (i.e., on his own will, without request by any party) transfer the D.C. Court litigation challenging the final CHNSRA ORV management plan and environmental impact statement "to the United States District Court for the Eastern District of North Carolina as related to Case No. 2:07-CV-45-BO [Judge Terrance Boyle] in that court or otherwise." Judge Sullivan has directed the parties, by no later than August 6, 2012, to file any objections to such transfer. CHAPA intends to do so. Thank you for your continued support in our efforts to resolve the Beach Access issues we continue to face at the Cape Hatteras National Seashore Recreational Area. We will let you know when we have more information. The National Parks Subcommittee heard testimony on S.2372, Preserving Public Access to Cape Hatteras Beaches Act, on Wednesday, June 27. This bipartisan bill was introduced on April 26 by Senator Richard Burr and co-sponsored by Senator Kay Hagan. It would abolish the final ORV plan and rule and return the management of the seashore to the 2007 Interim Protected Species Management Plan until the Secretary of the Department of Interior and Director of the National Park Service devise a new ORV plan and final rule that meets the requirements set forth in the legislation. Iren Nolan, editor of the Island Free Press has provided insight into the hearing through her article following the hearing and her weekly blog. Senator Joe Manchin, WV strongly supported the bill during the hearing and is an important ally in our continued effort to pass this legislation. The next step in the process will be fo he Senate committe to mve to mark up and vote on whether to send the bill to the Senate floor for a full vote. Thanks to all of you for your efforts to contact your congressman on this important issue over the past week. Our new and larger hurdle is to achieve the same results on the floor of the U.S. Senate. The White House, through OMB has already voiced their displeasure with our success and Audubon has announced that we will never succeed in the Senate. This tells you the importance of what we are doing and challenges us all to see to it that S. 2372 meets with the same success. S. 2372 will be heard on Wednesday, June 27. Once again we solicit your help and call on you to get on the telephone, email, fax, make personal contact with your Senator before this date. You elected him/her, now pressure them be responsive to your needs. You can find these addresses, phone/fax numbers by going to www.senate.gov. WASHINGTON, D.C. – Today the House passed Congressman Walter B. Jones’ bill – The Preserving Access to Cape Hatteras National Seashore Recreational Area Act. The bill was rolled into a package of 13 other bills and voted on as H.R. 2578 - the Conservation and Economic Growth Act. Congressman Jones’ bill would restore taxpayers’ right to reasonable pedestrian and motorized access to Cape Hatteras National Seashore Recreational Area. H.R. 2578 passed the House by a vote of 232-188, and now goes to the Senate for further consideration. “This legislation is about jobs, it’s about the taxpayers’ right to access the recreational areas they own, and it’s about restoring balance and common sense to National Park Service management,” said Jones. Jones’ bill would overturn a final rule implemented by the Park Service earlier this year that excessively restricts taxpayers’ access to Cape Hatteras Seashore, and is unnecessary to protect the wildlife. The language would reinstitute the Park Service’s 2007 Interim Management Strategy to govern visitor access and species protection at Cape Hatteras. It would reopen 26 miles of beach that are now permanently closed to motorized beach access, and give seashore managers flexibility to implement more balanced measures that maximize both recreational access and species protection. By doing so, the bill would reverse the significant job loss and economic decline that Hatteras Island has experienced since the Park Service cut off access to the most popular areas of the seashore. There is broad, bipartisan public support for this effort. Senators Richard Burr (R-NC) and Kay Hagan (D-NC) have introduced the same bill in the Senate. The bill is also supported by national sportsmen’s groups including the American Sportfishing Association and the Congressional Sportsmen’s Foundation.